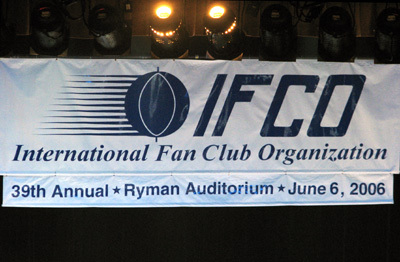 Once again this year, Con Hunley was invited to perform at the 39th annual International Fan Club Organization's IFCO show at the Ryman Auditorium in Nashville during Fan Fair week. Con performed two songs from the "Shoot From The Heart" album: the power ballad, I Can't Make It Alone and the house-rockin' That Old Clock. Noted country music critic, Robert K. Oermann, hosted the IFCO show again this year.